With Chinese political power at its peak on global stage, Tibet’s future is neither in the hands of Umavas nor Rangzenpas (Proponents of autonomy within China and Tibetan independence respectively) but in the clutches of the Chinese Communist Party (CCP). To understand why genuine autonomy is an unrealistic goal, one must first familiarize with the grand list of demands for genuine autonomy, and the history of Chinese deceptions during the past six decades. Seeking genuine autonomy within PRC with Dhotoe, Dhomey and Utsang under one giant Tibetan administration enjoying legislative power to self-govern in major areas like education, environmental protection, utilization of natural resources, population migration regulation etc may sound very reasonable from our side but is being seen by the CCP as nothing more than seeking independence in disguise. At the same time, those seeking genuine autonomy want China to guard Tibet’s long borders, a costly proposal in itself. In Chinese history, there never was a Chokasum (The three traditional regions of Tibet under the governance of a Tibetan Government based in Lhasa) therefore there cannot be one in the future operating over 2.5 million sq-km of landmass which makes up more than one-fourth of the current Chinese territory. Granting genuine autonomy to less than 6 million people over such a vast territory will cause numerous economic and political losses for China, even militarily guarding over nearly 6000km long Tibetan Himalayan borders. There is nothing mutually beneficial about it. Agreeing to autonomy for Tibetans could also set off a chain reaction across the remaining 54 so-called minorities who do not enjoy as much rights as demanded by proposals set forth by the exiled Tibetan Administration’s ‘Middle Way Approach’. Such precedence can shake the foundations of the CCP. This they can never in their right mind afford to risk. Hence, ‘nipping it in the bud’ remains their core defensive strategy with us. Advocates of the ‘Middle-Path’ argue that the Chinese constitution intends to grant genuine autonomy. When no word in the Chinese constitution on genuine autonomy has been put to practice for the past 62 years, when China initially struggled to survive ideologically, economically, militarily and politically. Granting genuine autonomy in the past would have eased their burden. Why would they give us genuine autonomy now when their national power is at its zenith in world politics? The Chinese constitution is merely a toy for CCP. In that sense nothing has fundamentally changed with CCP to give us reasonable grounds to expect genuine autonomy. That Deng Xiaoping said anything less than independence could be discussed has been rejected several times over the years. Surprisingly there is no proof either in print or on audio or video that Deng Xiaoping ever said so but supposing he did, that was 34 years ago and the man is dead 16 years. Well the Chinese communist party that he headed is still in existence and in control but this same system itself has repeatedly denied Deng Xiaoping ever having said so; they are not willing to give more than what genuine autonomy they claim they have already given to Tibet since 1951 and 1965. “Comrade Deng Xiaoping had never made such a statement. It is a falsehood made by Gyari and is a complete distortion of Deng Xiaoping’s statement,” Zhu Weiqun, Vice Minister of the United Front Work Department in charge of talks said at a press conference in Beijing. With a series of outright rejections from China, who are we doggedly trying to convince that the demand for genuine autonomy is in keeping with the constitution of PRC? Are we hoping to persuade the United Nations or the Chinese people who are all either politically powerless or existentially indifferent? The claim that political democracy in China is inevitable and the Chinese people will bring about the desired genuine autonomy is backed by hope, not facts. There may be some Chinese dissidents who express genuine support for genuine autonomy. However, it has no real significance. Once in power they are a minority like Hu Yabong and Zhao Ziyang, the 1989 Chinese democratic reform sympathizers. And it only serves their political career to toe the party line or they could die shortly after under some mysterious circumstances! When the Chinese from all walks of life poured in the streets of Beijing and cities across China in millions pushing for basic democratic reforms in 1989 it produced zero result. When capitalism shuts them up now with an upward economic mobility never before experienced in her history, what with their national pride and confidence at its height, what chance is there for materializing genuine autonomy, for a people they essentially see as a museum piece with the occasional lip service of a handful of powerless new age Chinese hippies visiting Dhasa? That 90% of Tibetans support genuine autonomy is a false claim. From 1987 onward demonstrations to today’s self-immolations inside Tibet, genuine Autonomy has never been an expressed desire of majority of the Tibetan people. Not one of these non-violent freedom fighters screamed “genuine autonomy” even once. By manipulating the word freedom to mean genuine autonomy is not enough as evidence. The slogans, banners, fliers, posters, flags, songs, prayers, dances, horse race, demonstrations, articles, boycott, poetry, leaflets, self immolations inside Tibet did NOT point to genuine autonomy. Alas, all chithues (Elected Tibetan official who sits in the exile Tibetan parliament) except Karma Chompel, failed to grasp this hard evidence. A salute to his parliamentary action! MP Karma Yeshi, Lobsang Yeshi and other bravado monk MPs should speak up and take a stand. This is no 2009 trivial $700 Australian air ticket kiddish Squabble. This is Rangzen struggle at stake! Just because there is no exile wide demonstration, which is absolutely legal and democratic by the way, or an indefinite protest at Gangkyi need not mean majority of the Tibetans support genuine autonomy. The genuine aspiration of the Tibet Tibetans who make up 97% of the world Tibetan population must be proved beyond question through an open general referendum inside Tibet and move from there democratically. 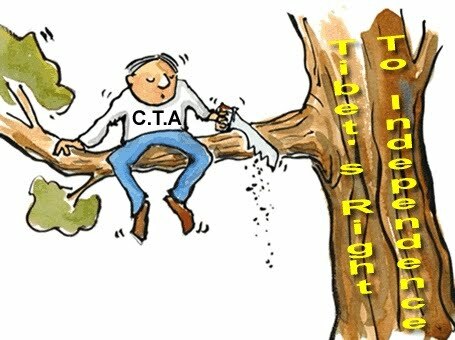 This referendum as a first step should be a cup of tea for CTA when the impossibility such as genuine autonomy is propagated furiously as realistic, reasonable, pragmatic, practical and highly feasible. 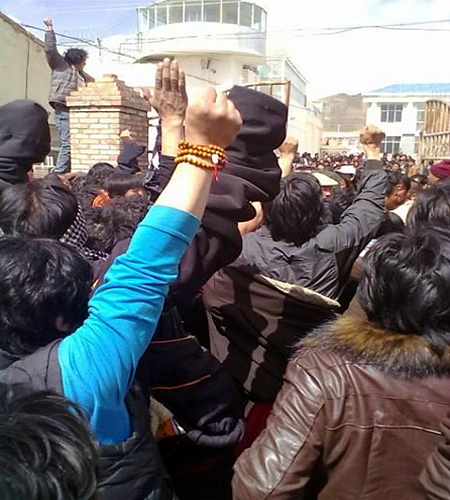 The Chinese fear that once genuine autonomy is given, the Tibetan demand will later on shift to independence is real. 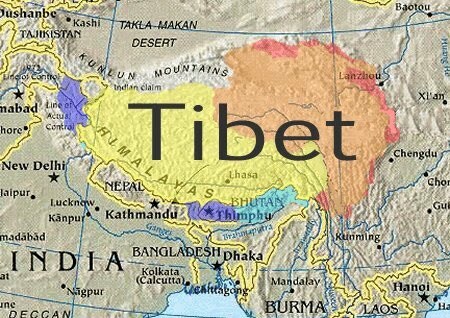 The very thought of India and US using an independent Tibet as a military base scares China, not to speak of the control these two powers would exercise over the Tibetan natural resources in their favor. Damming and diverting the Tibet rivers alone can easily reduce ¼ of China to deserts in the next few years. Opening the dams and flooding the Chinese plains would cause large scale causalities, devastating nature and farms and affecting tens of millions like India does to Bangladesh every year. Because China is militarily, economically, politically powerful, no government in the world finds the moral strength or the political dividends to support genuine autonomy. What the west has occasionally expressed is their support for the dialogue between China and the representatives of the Dalai Lama, not CTA. This reduces the Tibet issue, like the Chinese have always succeeded in doing, to the issue of the personal status of just one person, the Dalai Lama. Commending or lauding MWA is not as same as following it up with concrete consistent political action. Wikileaks reveals that the US government does not want the Tibet issue resolved at all but to continue so they can use it as a stick and carrot in its power games with China. It is more than obvious that the Chinese policy toward Tibet will never voluntarily change for the better and consequently the genuine autonomy of the MWA of the past four decades will remain a mission impossible. Slit my throat if I am proved wrong on this. Tibet is vanishing and time is indeed running out but forget genuine autonomy, even harmless religious freedom like the right to possess a Dalai Lama photo on person or in homes or in monastery is neither granted nor tolerated. The 121 non-violent self immolators are labeled criminals, mentally ill and socially outcasts and their innocent relatives and friends are not spared from false accusation, arrest, detention, demonization, criminalization, beatings, torture, imprisonment and execution. This is of-course done to prevent such fiery protests in the future. Execution of the families of the would-be self immolators might effectively destroy our current best political weapon. To kill one’s self is never sweet, not even if it is done for the highest human ideal like freedom and independence but to know beforehand the execution of your loving family is certain simply because of your fiery sacrifice is even less sweet. Genuine autonomy is an unrealistic and unachievable goal. China again rejected the US claim that human rights situation in Tibet is deteriorating. Indian borders were harassed more than 600 times in the past three years with impunity. Nepal has been turned into Nepal Autonomous Region of China since 2008. Not one government on earth has declared its support for genuine autonomy. To China, CTA does not exist. Period. 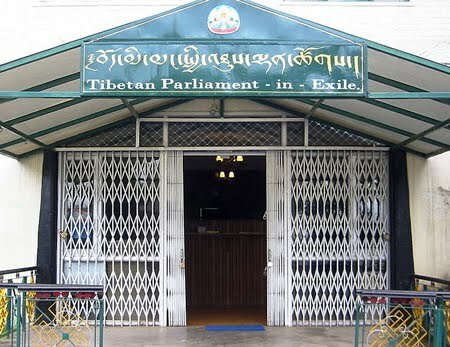 The Chinese view Central Tibetan Administration (CTA) as representing not even the less than 150,000 exile Tibetans. The infamous nine rounds of ‘talking about talks’ for a decade produced zero result, says Woeser, the exceptionally bold and brilliant independence blogger who is time and again under house arrest in Beijing. The whole basis of hope for genuine autonomy is so far fetched as the proverbial turtle resurfacing once in every 100 years trying to succeed in sticking its head in the single hole of the lone yoke drifting on the surface of the vast Indian ocean. The Dalai Lama, who outlined the ‘Middle Way Approach (MWA) in 1988, has several times admitted it has been a “failure” and what is ironic is almost immediately after each such admission he declared it as the best option! Nothing can be more confusing for the cancer patients to listen to the same doctor who just yesterday declared the blue cancer pill ineffective and this morning promises us of its absolute effectiveness! This goes on and off for four decades. Poor unquestioning patients! Here is another one on MWA’s other cheek. “Dalai Lama’s so-called “high-degree of autonomy” in “Greater Tibet” has “run counter to China’s Constitution, the law, and the fundamental interests of Tibetan Buddhism,” Yu Zhengsheng, a senior leader of the ruling Communist Party of China (CPC) has said in his talks with Buddhist monks and religious officials during his current tour of Tibet. In the next two years there will be another big meeting with 600 delegates or more debating for a week on a new course or strategy in the northern Indian town of Dharamsala. It is likely that as in the past there will be no real change in our approach or status. It is a popular fallacy in the Uma camp (That faction supporting autonomy for Tibetans) that China will be more reasonable and receptive to our demands the more we go down on our knees. Meanwhile the reaction from China’s regime has been to demand ever further surrender from the Tibetan side, and so we find ourselves yet again returned to square one! Neither the Dalai Lama nor Samdhong Lama or Penpa Tsering or Thupten Lungrig or Lobsang Nyendak or Lobsang Sangay or Kalden Lodoe or Libby Liu have a roadmap to the much promised paradise of genuine autonomy. The memorandum and the note on genuine autonomy are neither a road-map nor a policy but a long list of items begged from those tyrants who oppress Tibetans.. With zero political leverage, the MWA is going against the tide of hopelessness. The ultimate Chinese goal is to hasten our death as a people via the status quo and by stirring Chinese nationalism periodically, and with no resistance from the CTA, other than reciting mantras such as We are not seeking independence…, we the CTA solemnly reiterate our commitment to MWA that is mutually beneficial, a win-win proposition. 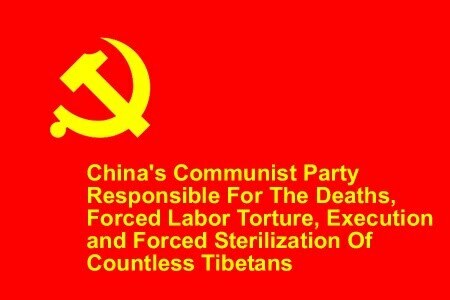 In cold truth however the MWA makes it all the way more easy for the PRC to execute their final solution on our people. Compromise is possible only between two opposing forces that share some mutual threat. This is not the case in our situation. We the lame ducks in exile are no threat to China while the PRC devours our brethren inside Tibet every now and then at ease. What ever light then advocates of a middle-path solution may perceive at the end of the tunnel turns out to be another oncoming train! In my next piece, I will offer an alternative, a realistic plan that will cut through the bardo of Uma and Rangzen that might actually have a realistic chance of approval by the CCP. It however does take some imagination and a bit of Resolution. Stay tuned!